Relate: The best way to learn anything is through immersion. I spent four years trying and failing to learn Spanish in a classroom. Yes, I learned a bit here and there but certainly not much considering the time and effort invested. Then in college I went for a week on a missions trip to work with Castillo Del Rey. In that one week I learned and used more Spanish than four years worth of class work. Why? Everything we said, and everything we did was in Spanish and that was the primary (or only) language of everyone around us. We had to learn quick. It was sink or swim. Speaking of sink or swim, a person can never learn how to swim by reading a text. It simply isn’t possible. Learning the theories or methods of different types of strokes is only valid when there is personal experience and practical application to them. If a person wants to learn to swim, they need to get in the water. Ever see a little kid first learning to swim? That kid has a life jacket on, flotation devices on every limb and a parent hovering inches away. Doesn’t matter. While that kid paddles around in the water, they are terrified out of their mind and are sure to make sure everyone knows it. Eventually they will get beyond the terror, but this will only happen once experience has taught them that they are safe. React: There has been times in my life when I really empathize with that child terrified in the pool. When the Holy Spirit is leading me into the truth of grace, He is throwing me into a “much grace required” situation. When He is teaching me patience, it is in a situation where there is a testing of my faith. 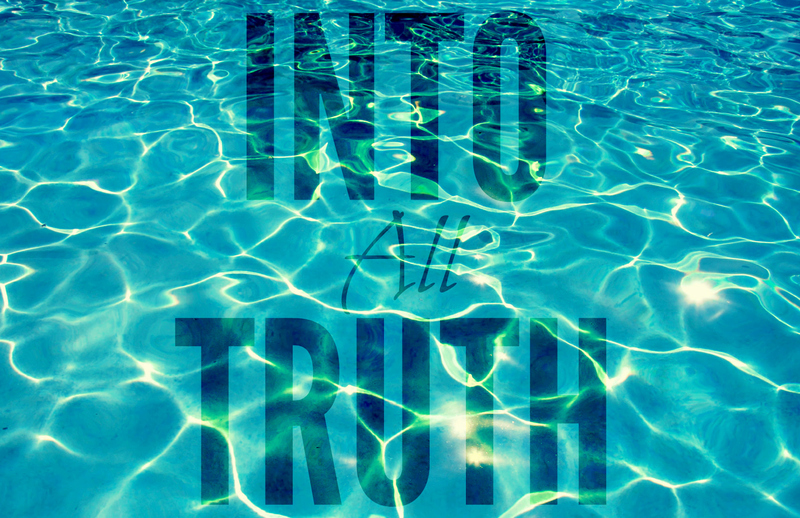 If He is teaching me faith, I’m thrown in deep waters that scare the living daylights out of me. God, thank You for always being there. Even when I don’t sense it, You are there. Even when I can’t hear You or see Your hand, You are there. In those moments of immersion that don’t seem as fun, help me to learn my lesson quickly. Quiet my mind. Soothe my fears. Let me hear Your voice at every moment and in every situation. More than anything I want You. How beautiful is that song? Wow! Needed to hear this today! Thanks for being obedient, BJ! I always look forward to your work! You are indeed, blessed and highly favored by God! My oldest daughter learned Spanish that way. She took classes and completed curriculum, then she went and got a job working with Spanish speaking co workers, so now she can read, write, and speak it. I find that true of learning who Jesus is. We have the text book but you need to spend time with Him. Great post. No matter the cost, be there for a child. Thats why the father keeps his prescence known thus in spirit we hear his hands that stay and guide in all things. “as long as I am there in His will, I am as safe as can be.” Absolutely. We need to surrender and allow ourselves to be engulfed in His Spirit. That is truly the safest place we can be.